Readers Question: What are the types of unemployment? Supply-side unemployment (the natural rate of unemployment). These are usually microeconomic imbalances in labour markets. 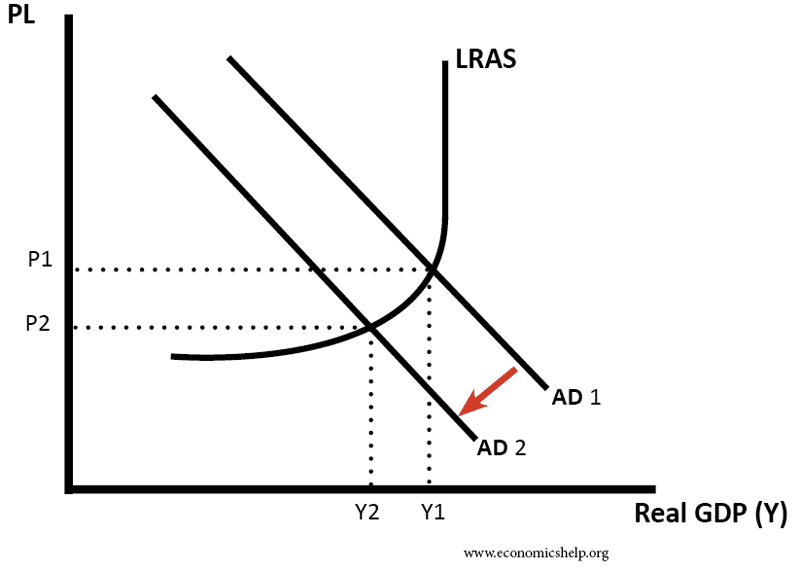 Demand-side unemployment (Unemployment caused by lack of aggregate demand in the economy). In recessions, we can expect demand deficient unemployment (sometimes called cyclical unemployment) to increase significantly. Structural – This is unemployment due to occupational or geographical immobilities. Often occurs after structural change in the economy. E.g. closure of mines, left many miners struggling to find suitable work. For example, there may be jobs available in the service sector, but unemployed miners don’t have the relevant skills to be able to take the jobs. See: structural unemployment. Geographical Unemployment. This occurs when unemployment is concentrated in certain areas. Jobs may be available in some prosperous areas (e.g. London) however, there may be difficulties for the unemployed to move to these areas (e.g. difficulty in finding accommodation, children in schools, e.t.c.) Note, geographical unemployment is often considered part of structural unemployment. Real Wage Unemployment. e.g. powerful trades unions bargaining for wages above the equilibrium. (this may be exacerbated by fall in aggregate demand) See: real wage unemployment. 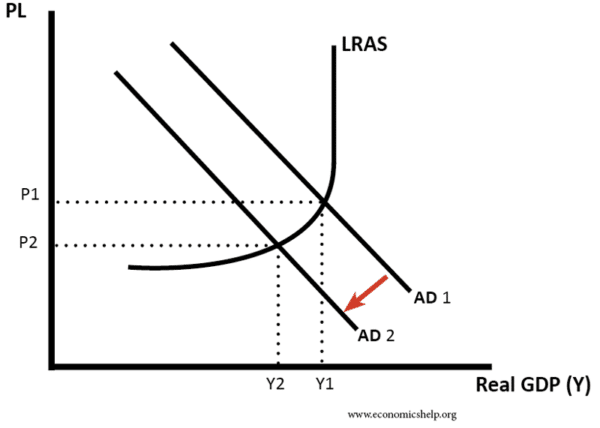 Demand deficient unemployment – a fall in AD leads to a fall in economic output. Therefore firms employ fewer workers. This is sometimes referred to as ‘cyclical unemployment’ – the idea that unemployment rises and falls with changes in the economic cycle. 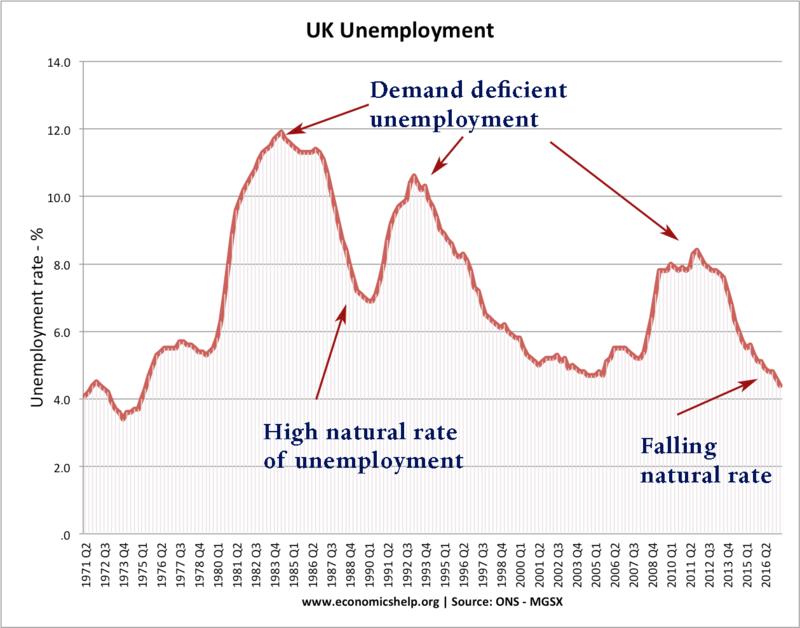 See: demand deficient unemployment. The spikes in unemployment in 1981, 1991 and 2011 are caused by economic recession and indicate demand deficient unemployment. 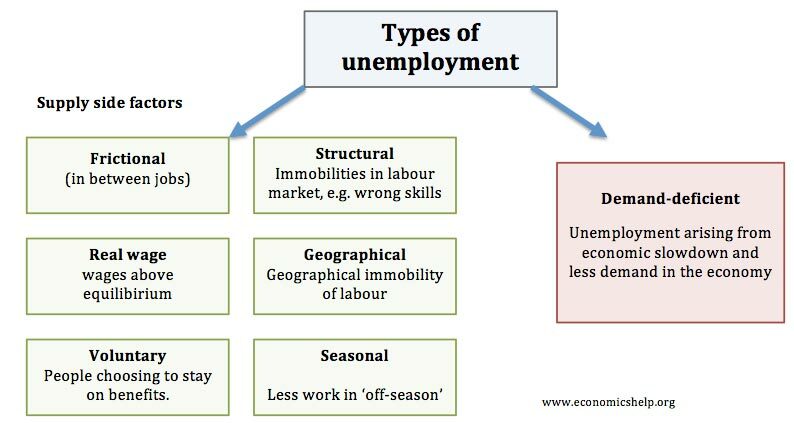 The unemployment that occurs during periods of economic growth (e.g. 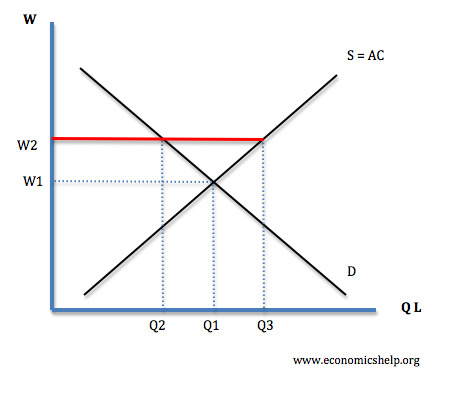 1993 to 2007) is due to supply-side factors – structural, frictional and real-wage unemployment. al the definitions are very easy n helpful for an average student i m grately thankful to u.